Value Water Conservation Kit 4, easy to install. 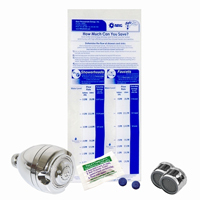 This Water Conservation Kit contains components that are easy to install. For a small investment, you can start realizing immediate savings on your water bill and save thousand of gallons of water per year.